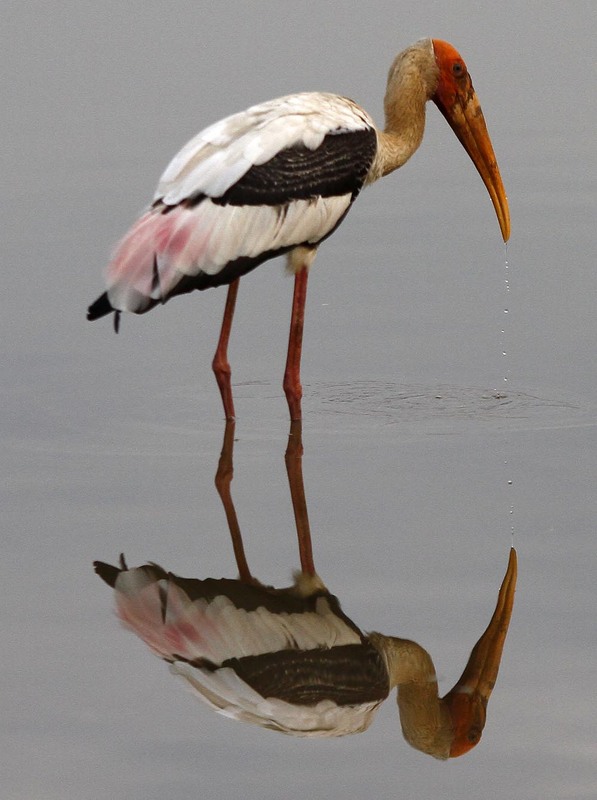 The Painted Stork (Mycteria leucocephala) is a large wading bird in the stork family. It is found in the wetlands of the plains of tropical Asia south of the Himalayas in South Asia and extending into Southeast Asia. Their distinctive pink tertial feathers give them their name. They forage in flocks in shallow waters along rivers or lakes. They immerse their half open beaks in water and sweep them from side to side and snap up their prey of small fish that are sensed by touch.